To end the euthanasia of healthy and treatable companion animals in North Central Florida. The single largest obstacle to the no-kill movement in North Central Florida is a lack of capacity for additional spay/neuter surgeries. Your investment in Operation Petsnip at the Alachua County Humane Society will allow our surgical suite to expand and our capacity for surgeries to double from 5,000 to 10,000 surgeries annually! This expansion will improve access to low-cost, high-quality spay/neuter surgeries for low-income pet owners thus reducing the number of unwanted litters of puppies and kittens coming into the shelter system. Furthermore, increased capacity will ensure dogs and cats in our local rescues are sterilized and up for adoption as quickly as possible. 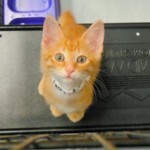 With your support, no pet will be euthanized for lack of space in our county shelter. Lubee Bat Conservancy is an international non-profit organization dedicated to saving bats and their habitats through research, conservation, and education, with a focus on children and community engagement. 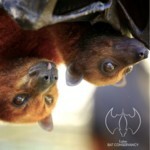 Support a bat for year and save wildlife, inspire children, and engage communities! But not just any bat, the largest species in the world! Our Malayan flying fox can attain a wingspan of 6'! Lubee, located in Gainesville, FL, houses 200 bats that astound and amaze thousands of guests each year. Your support of one of our beautiful bats allows us to continue our local and global conservation and education programs that connect children with nature, foster a sense environmental stewardship, and inspire the next generation of conservation scientists to become leaders within their communities. Our Education Program in North Central Florida reaches over 18,000 people annually and we proudly partner with veteran’s groups and organizations focused on children. Research partnerships with the CDC, NIH, Boston University, and others, is bridging the gap between bat immunology, human health and disease ecology. These partnerships may lead to cures for the world’s deadliest diseases. Our conservation efforts focus on critically endangered species in FL and around the world in areas where the extinction risk is high. Programs in Madagascar and other threatened locations focus on children, communities, women’s groups and forest preservation. Lubee is an Association of Zoos & Aquariums certified related facility that undergoes a rigorous inspection every 5 years to ensure it continues to meet ever-rising standards. Please consider a donation to support one of our bats for a year. Your contribution will ensure that our programs continue to save wildlife, inspire children, and engage communities. www.lubee.org. 2-1-1 is a free helpline provided by United Way that offers problem-solving assistance and helps connect area residents to critical health and social service resources. 2-1-1 is available 24 hours a day, 365 days a year and strives to empower callers through addressing needs and establishing personal plans in times of crisis. 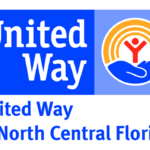 United Way of North Central Florida's 2-1-1 line covers Alachua, Bradford, Dixie, Gilchrist, Levy, Union and Lafayette Counties. Of the 13,487 callers served last year, 56% of callers sought help from 2-1-1 for the first time! Top service requests included: housing assistance, utility assistance, tax preparation services, food assistance, and clothing and household. Your support will fund program operations thus ensuring 2-1-1 remains available to everyone in north central Florida.